Once again spacecraft are preparing to orbit my favorite place in the Universe - our Moon. NASA's Gravity Recovery and Interior Laboratory (GRAIL) mission with its two spacecraft, is set for a major mission milestone - entering lunar orbit - this New Year's weekend. GRAIL A & B will enter lunar orbit on New Year's Eve and New Year's Day respectively, at 1:21 p.m. PST (4:21 p.m. EST) for GRAIL-A and 2:05 p.m. PST (5:05 p.m. EST) for GRAIL-B. As of Dec. 28, GRAIL-A is 65,860 miles (106,000 kilometers) from the Moon and closing at a speed of 745 miles per hour (1,200 kilometers per hour). GRAIL-B is 79,540 miles (128,000 kilometers) from the Moon and closing at a speed of 763 mph (1,228 kilometers per hour). by 430 mph (691 kilometers per hour). 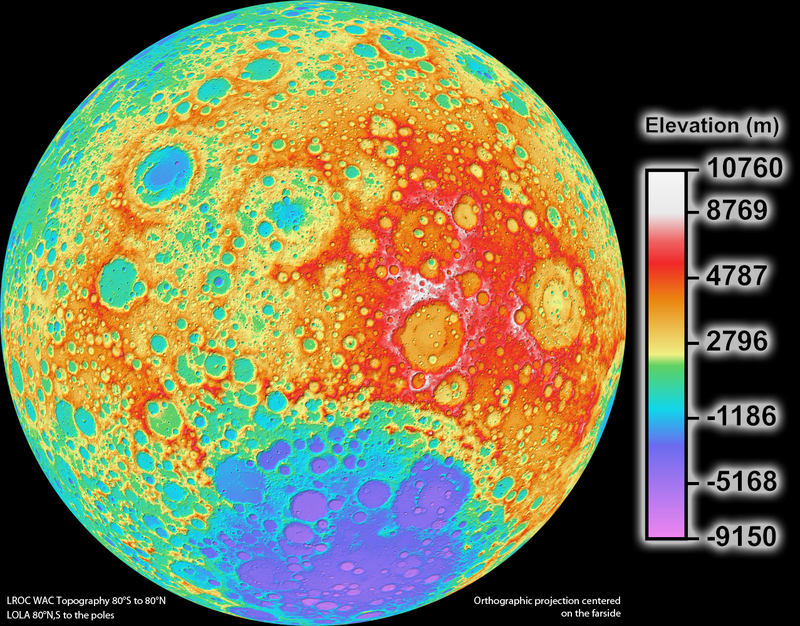 measure the changes in their relative velocity very precisely, and scientists will translate this information into a high-resolution map of the Moon’s gravitational field. The data will allow mission scientists to understand what goes on below the surface. This information will increase our knowledge of how Earth and its rocky neighbors in the inner solar system developed into the diverse worlds we see today. Read More About It: http://www.nasa.gov/mission_pages/grail/main/index.html. GRAIL will give us information about the Moon's interior that will be able to answer many questions about the origin and evolution of the Moon. 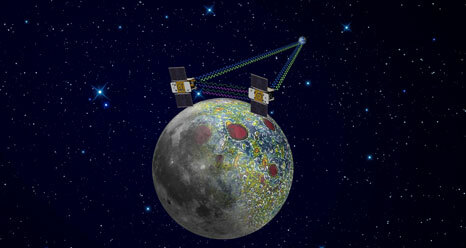 We will be able to combine GRAIL's results with those of Lunar Reconnaissance Orbiter (LRO) and thereby develop our most detailed understanding of the Moon. I was at work yesterday and the subject of other life in the Universe made the rounds. To a person (there were 5) each thought that life other than us and our planet existed elsewhere in the Universe. I watched "Earth vs the Flying Saucers" last night and got the January 2012 issue of Sky and Telescope Magazine with the cover story "How Could Aliens Find Us?". To top it off, there is now a project being proposed to look for alien artifacts/evidence in the high-resolution photographs from Lunar Reconnaissance Orbiter (LRO) - http://www.sciencedirect.com/science/article/pii/S0094576511003249. I will state my own view on the subject of extraterrestrial life - I believe that other life DOES exist in the Universe, if not our own solar system. To create life - as we know it - you need a stable and long term energy supply, a suitable habitat (water, atmosphere, chemical compounds, food sources) and sufficient time for evolutionary processes to work. To get where we are now, we have had the Sun, Earth, and 4.5 billion years going for us to create us and our planet teeming with life. I truly believe that life can exist on Mars below the surface - not "Martians" as in War of the Worlds", but rather extremophile life forms like we find in the harshest habitats on our planet - deserts of ice and sand, the bottom of oceans, arid and acrid environments. And who knows what might lurk in the subsurface ocean of Europa. There might come a time when discovery of life elsewhere is announced. As Carl Sagan once said, "Extraordinary claims require extraordinary proof". The Search for Extraterrestrial Intelligence (SETI) is ongoing in its listening to space in order to find possible signs of intelligent life - http://www.seti.org/ Curiosity is headed towards Mars with the most advance instruments available to study the Red Planet. NASA is looking at ways to study Europa's ocean. In sum, we are looking for signs of life and life itself elsewhere. Do I believe that Earth has been or is being visited by aliens? I say that anything is possible but I stand by Dr. Sagan's axiom. It has to be proven by scientific means in order to be valid. Nothing else will do as anyone can say anything and "photograph" anything. With 2012 literally around the corner the doomsday contingent may arise again - remember the movie and the "end of the Mayan Calendar means the end of the world" nonsense? I am pretty sure the planet will be here by the end of 2012 and hopefully humanity along with it. Have you explored your own feelings on this subject? It is pretty hard to look up at a clear and totally dark sky with thousands of stars and the Milky Way and not think "we are not alone". And when you consider that there are BILLIONS of other galaxies, it becomes an almost certainty because of the sheer numbers of stars and planets out there that something/someone else must be looking back and pondering the same thoughts as they look into their sky. Perhaps time will eventually tell us the answer to our question. Took these pics last night (12-26-11) before the clouds rolled in. I hope you like them. Tonight, December 26, 2011, the thin crescent Moon and brilliant Venus will pair together in the western sky right after sunset. This is a must see event as the two will be very bright and beautiful. The Moon will have earthshine - which is the unlit portion of the Moon being visible due to the reflection of sunlight off our planet's clouds and oceans. If you have binoculars it will be well worth using them to look at the Moon as you will see the main craters and rays. Start looking at about 4:30 to 5:00 p.m. in the southwest. As long as you have a clear western horizon free of trees and buildings the view will be beautiful and serene. Don't miss this celestial treat. I hope this finds you safe and well with loved ones. This time of year is always one of reflection and hope. May your Holiday season be one of peace and prosperity. 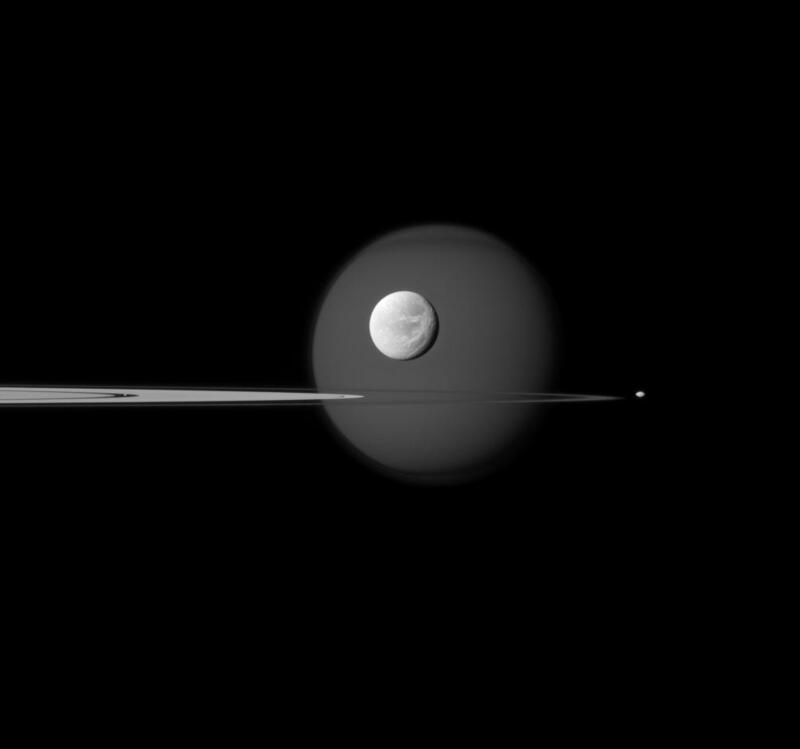 While we prepare to enjoy the holiday season, NASA's Cassini spacecraft (and others) are working around the solar system. From the Sun to the boundary of the solar system itself, NASA's space explorers are sending us data and images. Here is a link to an AMAZING video of Comet Lovejoy taken from the International Space Station (ISS) that you have to see: http://www.nasa.gov/multimedia/videogallery/index.html?media_id=125774121. The lightning in the South Pacific is the foreground for the comet's amazing tail rising out of the planet's atmosphere. Today is the 1st day of astronomical winter as the winter solstice occurred at 1230 a.m. EST, 12-22-11. The Sun will now begin to rise a little higher in our sky at local noon and move along the eastern horizon towards the North each day. Here in Northern VA our temp will be in the 60's(!) today, and we have had a few days of these temps off and on for the past week. The nights will remain long during winter so take advantage of seeing the stars and planets - Venus is in the southwest right after sunset blazing away and Jupiter is king high in the southeast. The winter constellations are rising in the east so be sure to look for Orion, Canis Major, Canis Minor, Taurus and Auriga. If you have clear skies tomorrow before sunrise, at about 6:15 to 6:30 a.m., be sure to go out and look in the east. I saw Mercury today through some clouds and it was bright and a fist or two width above the eastern horizon. It was bright and golden-yellow in color. It is brighter than the nearby star of summer, Antares.The waxing crescent Moon, complete with earthshine was visible through the clouds as well and will be below Mercury tomorrow, the 23rd, and just above the horizon. Having a clear horizon and no clouds will help. Yesterday it was plants made of diamond and today we have eco-planets found that are the size of our own Earth. NASA announced yesterday at a news conference that the planet hunting Kepler spacecraft had found a planetary system consisting of 5 planets orbiting a star about a 1,000 light years away. The Earth-sized planets, Kepler 20e and 20f, are too close to their star to support liquid water so the prospects of life as we know it is unlikely. The temps on 20f are 800 degrees - like Mercury - and 1,400 degrees on 20e - hot enough to melt glass! We know that there are plenty of planets besides our own solar system. In fact, NASA is going to hold a news conference today, Dec. 20, to announce the latest finds from Kepler - the planet hunting spacecraft. A recent experiment here on Earth developed the notion that planets somewhat similar in size to Earth could form being comprised of 50% diamond. Researchers were experimenting with what it takes to form diamond in the lower mantle of our planet. 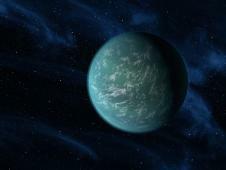 Such a planet would probably have very cold and difficult conditions for life to form. This is another intriguing example of the planetary possibilities that may exist. The results also show how precious our planet really is. NASA's Dawn spacecraft completed its higher altitude mapping and has been lowered to about 130 miles. This will provide higher resolution photos and greater details on areas that were mapped at the higher altitude. The lower altitude will also allow for mapping of the gravitational field of the 2nd largest asteroid in the solar system which then allows for a greater understanding of the internal structure of the mini-world. The maneuver was done successfully on December 12 and Dawn will remain at this altitude for the next 10 weeks. She will then dive back up to the higher altitude of 420 miles to resume mapping of the northern regions with a more favorable Sun alignment. 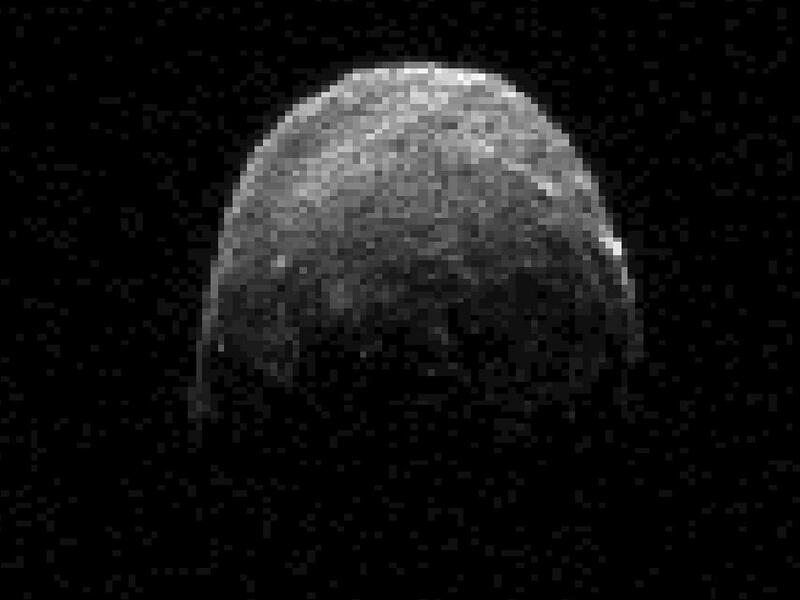 Dawn will head for the largest asteroid Ceres in July 2012. Meteorites - space rocks - are pieces of the Moon, Mars, perhaps Mercury, and asteroids that fall to Earth and are found. 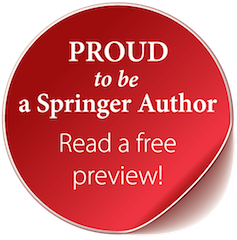 They contain priceless information about not only the history of the body they came from but that of the solar system as well. Each meteorite found and collected adds to our knowledge of the solar system, and in very rare instances, provides a history that PREDATES our Sun. Contained in some studied meteorites are what scientists call "pre-solar grains" - tiny bits of matter that were formed in a star other than our Sun. This star went supernova at some point creating elements beyond iron which were then dispersed into space. Some of this supernova's remnant material seeded the nebula of gas and dust that eventually formed our Sun, the planets, and the whole solar system. 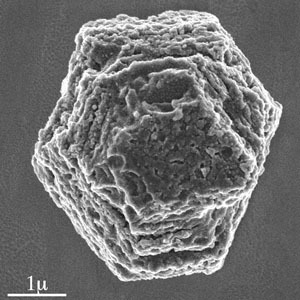 A scientist is going to search for such pre-solar system grains in a famous meteorite and has been awarded $1.38 million to do so for the next 3 years. The meteorite he will be using for his search came from a very famous meteorite event in Murchison, Australia - hence the meteorite's name "Murchison". He will use a pound of this material, worth probably at least $100,000, to search for these grains. He hopes "his findings will narrow the constraints on theoretical models of supernovae and the production of elements within them." The search will probably yield multiple pre-solar stars such as red giants and supernovas. If successful, scientists will have better information on the formation of elements and the lives of stars. Well, I have to tell you that the Comet Lovejoy experience of the past few days has been one of the most memorable for me in my five decades of astronomy. The reason I say this is because of two things - the very nature of the event and its' very unexpected outcome and the state of astronomical instrumentation that allowed all of us to to view astronomical history in the making in almost real time. I put this event on the same plane as the Comet Shoemaker-Levy 9 impact of Jupiter. That event showed us for the first time in history an actual cometary impact with a solar system body. For those of you not familiar with this event check it out: http://www2.jpl.nasa.gov/sl9/. It changed the way we see the solar system since we were able to witness and study a very important process in the life of the solar system - impacts. Comet Lovejoy defied the experts' predictions (and mine too) that it would not survive its close encounter with the Sun but it did. To see the comet actually going into the hellish millions of degrees solar atmosphere and then wiggling its way out from behind the Sun without its' tail, was simply amazing. Comet Lovejoy will add to our body of knowledge about comets. The experts will have to analyze why their predictions were wrong and then learn something new in the process. Right now the thought is that Come Lovejoy had to be about a kilometer in size rather than just two football fields-wide. We also know that there was a very small companion to Comet Lovejoy that did not survive the encounter. My hope is that there will be some scientific papers written on this cometary-solar encounter of the most impressive kind. 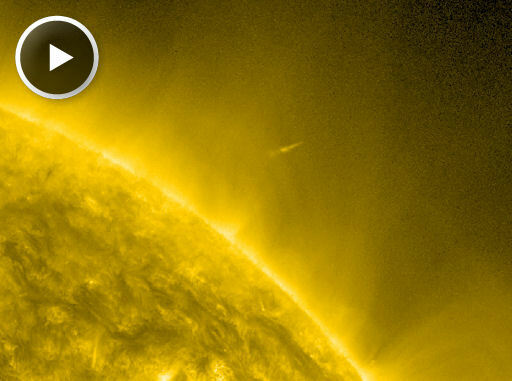 You have got to see the movies that show Comet Lovejoy, the kamikaze comet, diving into and out of the Sun! The comet became very bright with a long curving tail going in and then you can see the remnant without a tail going out. Simply amazing. I have to tell you I am glad this ancient piece of the solar system survived. It is going to give us information on comet structure and characteristics we would not have obtained otherwise. I am sure there will be some papers published in the future about this most unique episode in sungrazing comet history. Now Comet Lovejoy, or what is left of it, will recede back into the solar system, and become part of astronomical history. I have not seen anything that discussed what the comet's orbit would be like if it survived the encounter. I'll let you know if anything comes out on it. Comet Lovejoy may be in the final hours of its existence today as it will be closest to the Sun at 7pm EST today. 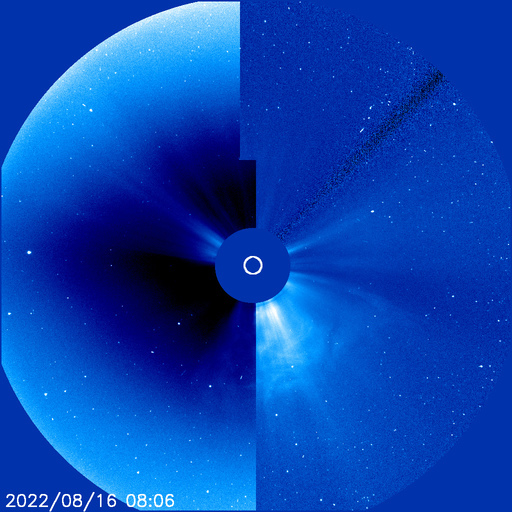 Here is the link to see the latest SOHO pictures: http://sohowww.nascom.nasa.gov/data/realtime-images.html. The main view will be in the lower right corner - LASCO C3 - so make sure you check on Comet Lovejoy as the day progresses. Will it survive? Probably not. What will be the end result of its destruction? No one knows for sure - it may become very bright and then disintegrate into a large cloud or it may go quietly with nothing to mark its passing. Only time, gravity and the Sun's intense heat will tell. Comet Lovejoy, the kamikaze comet is now visible in SOHO's field of view http://sohowww.nascom.nasa.gov/data/realtime/c3/512/, it is the white streak at the bottom of the picture. Make sure you tune in every few hours as the comet will nose dive in towards the Sun by tomorrow at a million miles per hour and ONLY 87,000 miles above the Sun's searing surface. No one knows if Comet Lovejoy will survive the close encounter which will be closest to the Sun at 7 p.m. EST on the 15th, but it will brighten and be spectacular to watch. More on this tomorrow. Baby it is cold outside but it is clear here in northern VA. The Moon is several days past full but the Geminid Meteor Shower will be at peak tonight, December 13, so check out the following link to enjoy one of the best meteor showers of the year. The Dawn spacecraft has been studying Vesta since its arrival months ago and the scientific results are adding up to the following question, "Is Vesta the smallest terrestrial planet?" In other words, is Vesta a failed planet that would have been similar to the terrestrial planets of Mercury, Venus, Earth and Mars. Vesta has characteristics that qualify it for such a designation - iron core, complex geological history. But such a designation has to come from the International Astronomical Union (IAU) - the worldwide congress of professional astronomers who vote and decide on such things. IAU demoted Pluto from planetary status and could do the same for Vesta by promoting it from asteroid to dwarf planet status. Only time and more data will tell. I hope you are tuning in to SLOOH - see yesterday's blog for the link - to watch the lunar eclipse live. NASA's Lunar Reconnaissance Orbiter (LRO) is working during the eclipse to gather valuable data on how the Moon cools down during totality. On the Moon you would see a total SOLAR eclipse as the Earth blocks out the Sun. When this happens the temperature on the Moon's surface begins to fall. By how much and how fast this temperature declines and then rises once the Sun returns, yields valuable information abut the surface composition and texture of the area measured. LRO carries DIVINER, an instrument designed to take the Moon's temperature. DIVINER will take thousands of measurements during the eclipse which really is a scientific windfall of valuable data that could not be obtained otherwise. For those of you in the mid-west and western US, Canada, there will be a total lunar eclipse visible on December 10. For the rest of us there will be a live broadcast on the Internet if you want to tune in. Our Moon continues to surprise us the more we study and explore our nearest neighbor. I have three news items as another story broke yesterday. From NASA, "The science team that oversees the imaging system on board NASA’s Lunar Reconnaissance Orbiter (LRO) has released the highest resolutionnear-global topographic map of the Moon ever created.This new topographic map, from Arizona State University in Tempe, shows the surface shape and features over nearly the entire Moon with a pixel scale close to 100 meters (328 feet). A single measure ofelevation (one pixel) is about the size of two football fields placed side-by-side." The largest black holes ever discovered were found in two nearby (relatively speaking) giant elliptical galaxies. 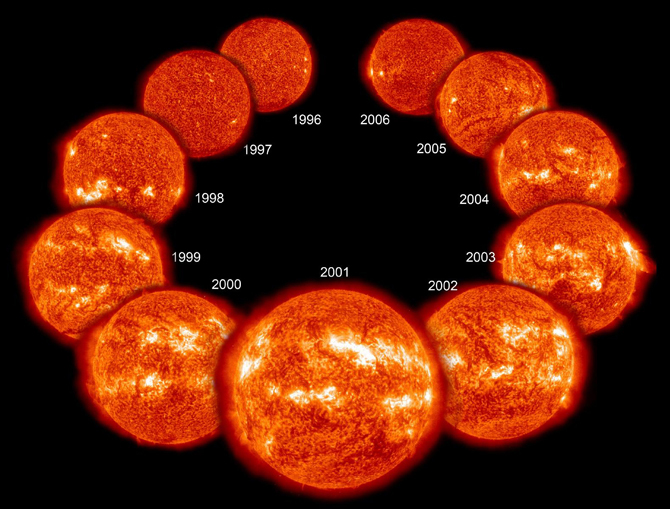 These 10 billion solar mass monsters break the previous record of 6+ billion solar masses. Read More About it: http://www.gemini.edu/node/11703. An exo-Earth may have been discovered by NASA's exo-planet hunting Kepler spacecraft. As stated by NASA, "the newly confirmed planet, Kepler-22b, is the smallest yet found to orbit in the middle of the habitable zone of a star similar to our sun. The planet is about 2.4 times the radius of Earth. Scientists don't yet know if Kepler-22b has a predominantly rocky, gaseous or liquid composition, but its discovery is a step closer to finding Earth-like planets." Hey Space Placers (& Fellow Moon Lovers)! Here are two items of interest as to the Moon with more to follow tomorrow. 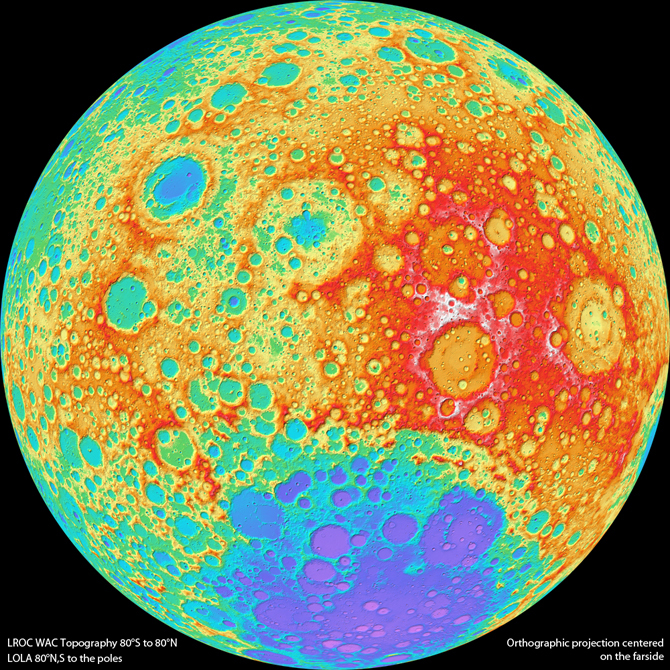 This link details the very latest lunar map showing where Titanium deposits are located and explains why studying Titanium on the Moon is scientifically important: http://www.europlanet-eu.org/outreach/index.php?option=com_content&task=view&id=360&Itemid=41. Tomorrow I will have another lunar map or two and some news about the Moon's "atmosphere". On December 2, 2011, NASA's New Horizon spacecraft bound for Pluto broke the record set by Voyager 1 in 1986 as being the closest spacecraft to Pluto. Launch back in 2006, New Horizons is due to flyby Pluto July 14, 2015 and will be able to photograph details as small as 200 feet across. Traveling at 34,500 mph, New Horizons came closer than 983 million miles to Pluto and still has 980 million more miles to go! For you 3D lovers NASA has just released a really cool 3D video flyover of the asteroid Vesta as captured by the Dawn spacecraft. The video is best viewed with 3D glasses but is still worth viewing. Well, the trick or treaters will be out in force tonight as Halloween is upon us - hard to believe that November is here already. In the DC area we will probably be clouded out but for the rest of you that enjoy clear skies tonight be sure to check out the Moon in the south, Jupiter in the east and the summer triangle directly overhead. Russia recently launched its supply rocket to the ISS successfully so the logistics chain is back in place (if the supply ship docks OK). 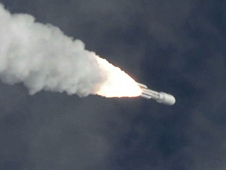 NASA is getting ready to launch the newest Mars mission - Curiosity - this week. I will have more on that as we get closer to the launch window. NASA is doing the final touched on the spacecraft and launcher this week at Kennedy Space Center. Have a safe and candy successful night! If you have clear skies and a clear western horizon, make sure you look for the heavenly trio in the west right after sunset. Binoculars will help your search. The Moon will get higher in the western sky over the next few days and Venus and Mercury will remain close to one another. A great view if you can see it!